When Is infinity War Coming to Netflix? Marvel fans who also happen to be Netflix subscribers are getting a Christmas gift from the streaming service this year. Netflix has revealed that Infinity War will be available to stream on December 25, Christmas Day, for subscribers to enjoy. What better way to celebrate the holidays than to watch Thanos wipe out half of all life in the entire universe? The reveal came from the Netflix NX Twitter account, which is home for all of their sci-fi, fantasy and other news. They made the announcement with a clever joke. "Oh, snap. Avengers: Infinity War is coming to Netflix on December 25." The snap refers to Thanos' very deadly finger snap at the end of the movie after the big baddie got his hands on all six Infinity Stones. Setting aside jokes related to the deaths of a great many Marvel heroes, this is great news for fans. Not only for those who maybe haven't yet shelled out for their own copy of Infinity War, but for those who want to rewatch the movie several more times before Avengers 4 arrives next year. This isn't the first Marvel Cinematic Universe movie to arrive on Netflix, but it's probably the last. Disney had a deal in place with Netflix for several years that allowed for their new releases, including Marvel, Star Wars and Pixar titles, to be released on the streaming service just a few months after their home video release. However, Disney ended their deal with Netflix last year as they get ready to launch their own service, Disney+, late next year. That means future MCU titles will likely wind up there. Infinity War is easily the biggest movie of 2018 so far by virtually every metric imaginable. The movie grossed $2.04 billion worldwide, just the fourth ever to cross that milestone and was heralded by critics and fans alike. It also had one of the most significant impacts on pop culture, as the events of the MCU entry have wide-ranging consequences on the most popular franchise in Hollywood right now. Plus, it united more comic book heroes on screen than anyone had ever thought previously possible without turning it into an overly stuffed mess. Directors Joe Russo and Anthony Russo pulled off something pretty miraculous. Black Panther (which is also streaming on Netflix currently) will likely garner more awards season love later this year, but Infinity War is an accomplishment the likes of which doesn't need Oscar glory to help cement its place in the history books. 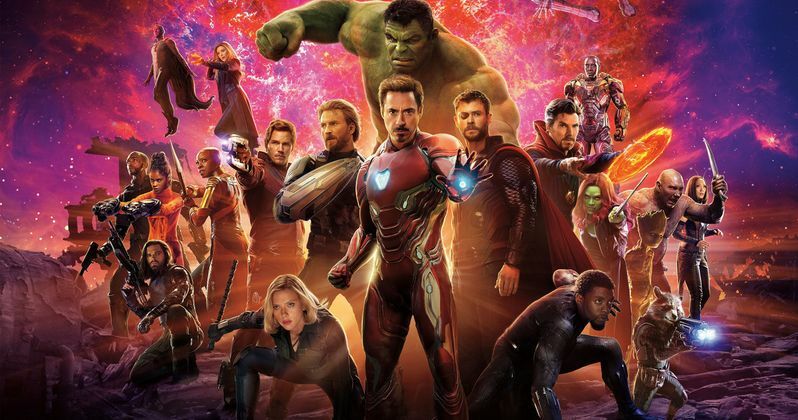 Will the Russo brothers be able to do it again with Avengers 4 next year? One can only hope at this point. While fans tirelessly wait for the follow-up to arrive on May 3, 2019, watching Infinity War on Netflix with the family on Christmas will be one way to help pass the time. You can check out the announcement tweet from Netflix's NX Twitter account below.